Power of Attorney Documents - Keystone Elder Law P.C. Often we have people tell us that they don’t need a new Power of Attorney because they already had one drafted years ago. As you age and your circumstances change, it is always a good idea to have your legal documents reviewed by an Elder Law Attorney. In our office, we believe that the Power of Attorney document is actually the most important document for someone to have and update as needed. The Power of Attorney document enables you to choose someone called your Agent to handle your finances, medical decisions, and legal affairs. The creator of the Power of Attorney document and the person giving powers to the Agent is called the Principal. Typically someone will have two separate Power of Attorney documents, one for finances and legal affairs, and the other for health care. There have been significant changes to the Power of Attorney law in the last few years, which could affect your Agent’s ability to carry out your wishes. For example, if you want your Agent, who might be your spouse or your child, to be able to protect your assets from the cost of your nursing care, then you must have specific language in your Power of Attorney which authorizes unlimited gifting. 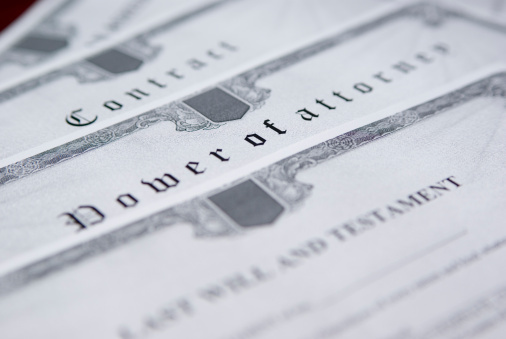 There are quite a few powers that an Agent under Power of Attorney may only do if the Power of Attorney document expressly grants the Agent the authority. For instance, the power to add or change beneficiaries to one of your assets, or to add or change joint owners on an account must be specifically listed in the document. These types of powers give your Agent broad authority to act on your behalf and are not appropriate in every situation; however, in every situation an Agent must be chosen who is trustworthy and will act as you would expect. You might be wondering why you would want to give your Agent such powers. Having those powers in place is necessary in order to enable your Agent to plan for your long term care, avoid probate and avoid payment of some death taxes. Even though your Agent is trustworthy, your Agent still cannot act until he or she signs the acknowledgment by Agent page of your Power of Attorney. The language on this page has also been updated in recent years. On this page, your Agent is acknowledging that he or she shall act in accordance with the Principal’s reasonable expectations to the extent actually known by the Agent and, otherwise, in the Principal’s best interest. An Agent must also act in good faith and act only within the scope of the authority granted by the Principal in the document. Once the Agent signs this page he or she can officially begin to act; however, prior to being authorized to make decisions the whole Power of Attorney document still must be given to any institution where the Principal has accounts to prove that the Agent has authority to act on behalf of the Principal. The Agent must act only within the scope of the document and always put POA after his or her name when signing on behalf of the principal. Although your Power of Attorney document may be up to date, you may have had a change in circumstances that requires you to make some adjustments. 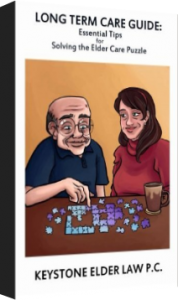 Consider if you have named more than one person to act at a time and now those two people do not get along, or all of the Agents that you named have passed away or are incapacitated themselves. We highly recommend naming one person as the primary agent, then another as secondary agent, and a third as a tertiary agent. We rarely advise naming multiple Agents to act all at one time. I hope this article will cause you to review your own documents and make sure that your documents are current. If you are unsure if your document is up to date or whether your named Agents are still the right choices, contact an Elder Law attorney to have your document reviewed.